Posted August 6, 2018 by Apoch. “The One Who Lurks is, first and foremost, terrifying”, in advance of the release date, Revolver Magazine is exclusively streaming the album in full. Hear “THE ONE WHO LURKS” Entirely At REVOLVER MAGAZINE at THIS LOCATION. DRAWN AND QUARTERED initially began life under the moniker of Plague Bearer (which is currently a side project of the guitarist Kelly) in 1992. A year after the creation, Plague Bearer started to breath fire under the formidable name Drawn and Quartered. It will be injudicious to play down their prolific career — consisting six acclaimed full lengths and numerous EPs and demos — by only considering the absence of wide-ranging recognition of their niche musical landscape. Balefully titled upcoming opus “The One Who Lurks” sees no discernible turnaround in the already established signature sound. 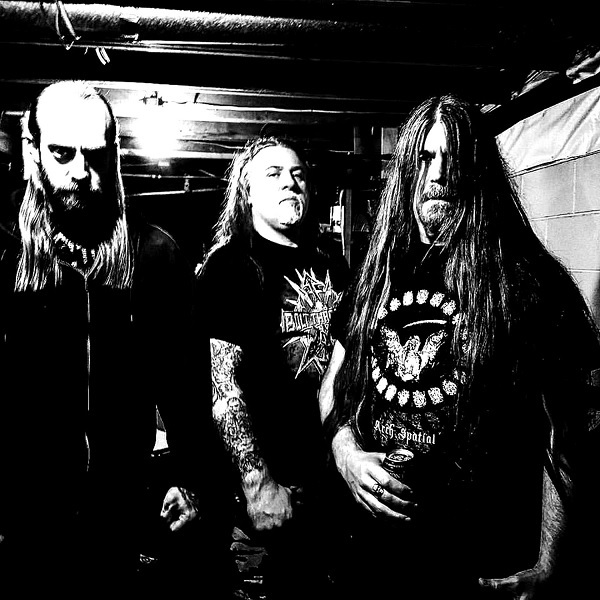 However, it surely sees the long serving death metal trio to vengefully and ravenously hone the level of ferocity and profanity in an unadulterated way. The eight tracks, containing maelstrom of bizarre riffs, repulsive vocals, and cavernous drumming, individually act as an entryway to unfurl the lurking terror that is maliciously aiming to flay its victim alive. Drawn and Quartered is confirmed to perform at this year’s Asakusa Deathfest, Japan. They will also perform in other local and international gigs to support the forthcoming album. Gabriel T Byrne has executed The hideous artwork of this album. The Tucson, Arizona based artist has limned the cover of every Drawn and Quartered full lengths.The label owner Loic F. (Autokrator, N.K.V.D.) has undertaken the duty of the layout, mixing, mastering and the production.